Intel has entered into an agreement with entertainment company Warner Bros to develop in-cabin "immersive experiences" such as virtual reality (VR) and augmented reality (AR) for people riding in autonomous cars of the future. Announcing the partnership at the Los Angeles Auto Show on Wednesday, Intel CEO Brian Krzanich said that autonomous driving is "today's biggest game changer", offering a new platform for innovation from in-cabin design and entertainment to life-saving safety systems. "Called the AV (autonomous vehicle) Entertainment Experience, we are creating a first-of-its-kind proof-of-concept car to demonstrate what entertainment in the vehicle could look like in the future," Krzanich said. The vehicle will showcase the potential for entertainment in an autonomous driving world, Intel said. With the rise of the AV industry and as passengers shift from being drivers to riders, their connected-device time, including video-viewing time, is set to increase. "Not only do we see passengers consuming content ranging from movies and television programming, we imagine riders enjoying immersive experiences never seen before, courtesy of in-cabin virtual reality and augmented reality innovations," Krzanich said. 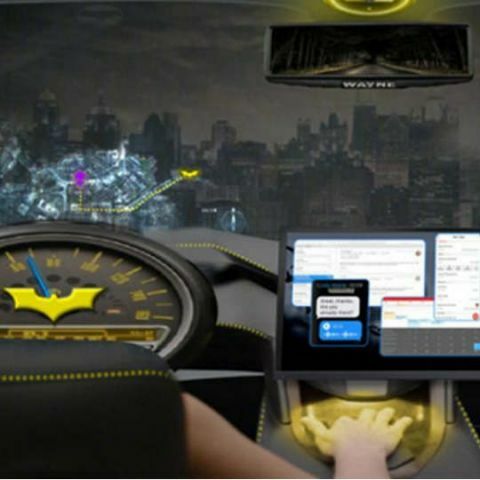 "For example, a fan of the superhero Batman could enjoy riding in the Batmobile through the streets of Gotham City, while AR capabilities render the car a literal lens to the outside world, enabling passengers to view advertising and other discovery experiences," the Intel CEO added. But more than enjoying the ride, the autonomous systems, which Intel believes are the logical extension of seat belts, air bags and anti-lock braking systems, are about reducing driving-related fatalities, the company said.